“Vibrant, forward thinking, lyrically uncompromising, three to four-minute pop songs that are provocative both musically and structurally”. When Russell Mael – one half of art-rock legends Sparks together with brother Ron – describes their new album, Hippopotamus, you’d be forgiven for momentarily forgetting this is a band twenty three studio albums into a forty-odd-year career. More impressive is that he’s not kidding either: from the title track’s jerky, Jethro Tull-esque structure and playful lyrics to What The Hell Is It This Time?, which unapologetically deconstructs relationships and the id under the watchful eyes of God (and, um, the family dog), Sparks remain a surprising, shocking proposition. The band’s last album, The Seduction Of Ingmar Bergman, may have been eight years ago but that’s not to say they have been resting on their laurels waiting for the next record deal to come along (BMG since you ask, and a generous one by all accounts). A short-lived supergroup with Franz Ferdinand, FFS, was perhaps ill-advised for this writer in hindsight, but the duo’s ongoing cinematic project, Annette, is a different kettle of fish altogether. As Russell explains, “the narrative format is different [for Sparks] and we are conscious of it being more liberating, more musical. Having a big director and actors mean it is a real team effort.” Indeed, the band have written both the script and the score, while acclaimed French director Leos Carax has nabbed Adam Driver for the male lead, so expect something ahead of the curve and to the far left of the field. Indeed, look out for one of the album tracks on Hippopotamus titled When You’re A French Director, which features Carax himself. Known for their progressive styles and visual representations, I asked Russell what we can expect from the UK leg of an extensive world tour to promote the album, which stops off at the Boiler Shop in Newcastle on Tuesday 19th September. “We’ll be presenting a lot of the new album and we are proud to be able to present that but people want to hear those [older] songs as well.” Regardless, a unique opportunity to catch some bona fide legends in an intimate local setting. Before my time was up, I asked Russell about the pressures of both scripting and scoring a film, whilst also writing and promoting a new album: surely, it must be draining? “You have to fight and challenge yourself to keep moving forward.” With that, Russell is gone, presumably to plan the next Sparks instalment of immaculately crafted pop oddities: whether that be another album or something more abstract. it seems the band are keen to keep the momentum going. Hippopotamus is released on Friday 8th September on BMG. 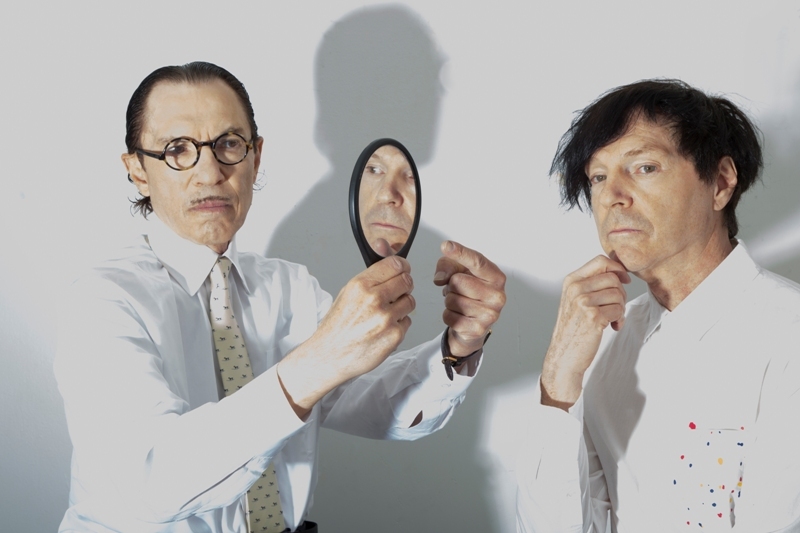 Sparks play the Boiler Shop, Newcastle on Tuesday 19th September.